To keep costs low for you, physical CDs will be shipped via United States Post Office via first class mail. Delivery time in the U.S. is estimated at about 3 days, and the delivery time varies elsewhere in the world, but we estimate 1-2 weeks. Purchases are nonrefundable. 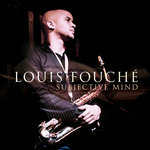 Please email info@louisfouche.com with any inquiries/issues.